South Korea’s tax burden this year is likely to surpass 20 percent of gross domestic product for the first time, on the back of the government’s expansionist fiscal operations, officials said Sunday. The nation’s tax income this year is estimated at 365 trillion won ($323.6 billion), up 5.5 percent from the previous year, according to data compiled by the Ministry of Economy and Finance and Ministry of Interior and Safety. Of the estimated total, national taxes will account for 287.1 trillion won, up 19 trillion won from the initial target amount, the Finance Ministry said. The Interior Ministry, in charge of local affairs and taxes, suggested that local taxes will total at 77.9 trillion won. With the country’s estimated GDP at 1,799.6 trillion won, the increase in tax revenues is to raise this year’s tax burden to an unprecedented 20.28 percent. The tangible increase in tax revenues was largely attributable to the Moon Jae-in administration’s blueprint of expansive fiscal policies. His policy stress on “income-led growth” and “fair economic order” were backed by a series of tax system revisions, including a hike in the corporate tax rate and expansion of real estate tax brackets. “Increases in tax earnings will outpace the amount of government spending on earned income and child support systems,” an official of the Finance Ministry said, speculating that the tax burden would continue to increase in the upcoming years. 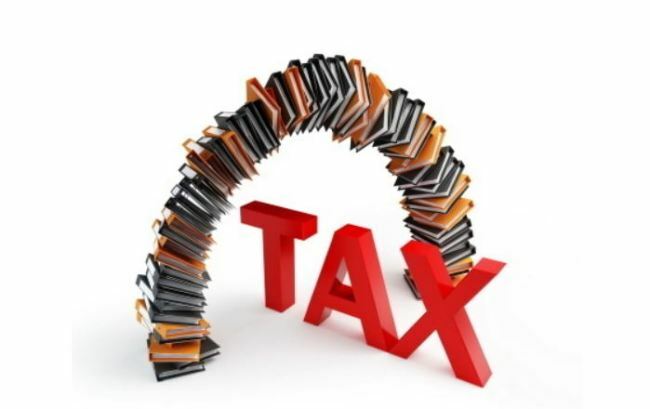 While some observers expressed concerns over the tax burden, a report by the National Assembly Budget Office showed that the overall level of taxation in Korea would still be one of the lowest among peer countries. The average tax burden rate for the Organization for Economic Cooperation and Development member states reached 25 percent in 2015, when Seoul’s figure was 18.5 percent, ranking 33rd lowest among 35 states checked, data showed. Amid ongoing controversies, the government is slated to hold an open forum on Aug. 16 to discuss the direction of its mid- and long-term fiscal policies.